A more rare variety of Phal. 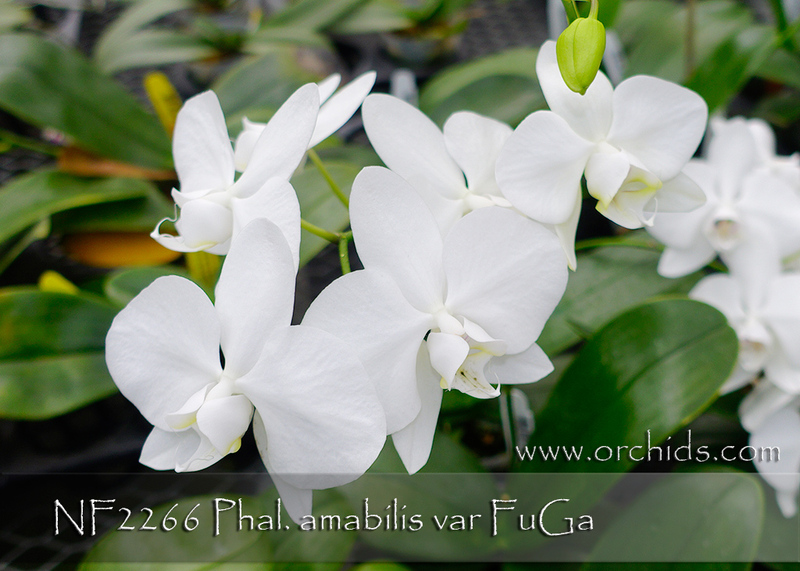 amabilis from the FuGa Island of the Phillipines ! 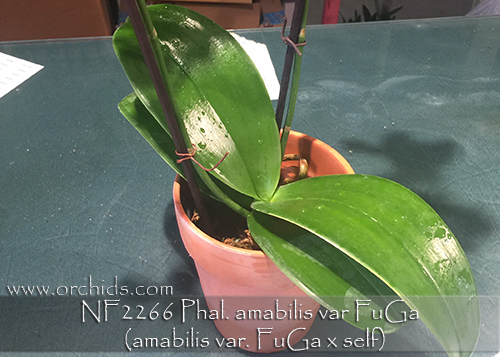 Renown for producing large shapely diamond-dust flowers on self-supporting waterfall spikes, Phal. amabilis var. FuGa’s jade green leaves are pleasingly round and compact, in perfect proportion to its spikes. 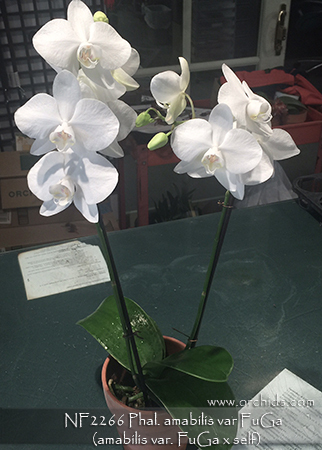 In addition, this strain is very disease resistant as a result of being created from a selfing of a select clone of this rare variety of Phal. amabilis. Limited and Very Highly Recommended !